Super Stardust HD was one of my favorite titles on the PlayStation 3, it was easily the PlayStation equivelent of the Xbox's Geometry Wars. Its developer Housemarque have been making solid twin stick shooters for Sony, including the excellent Dead Nation. Now the PlayStation 4 will get a title from the Finnish developer called RESOGUN and it looks like a spiritual successor to SSHD. 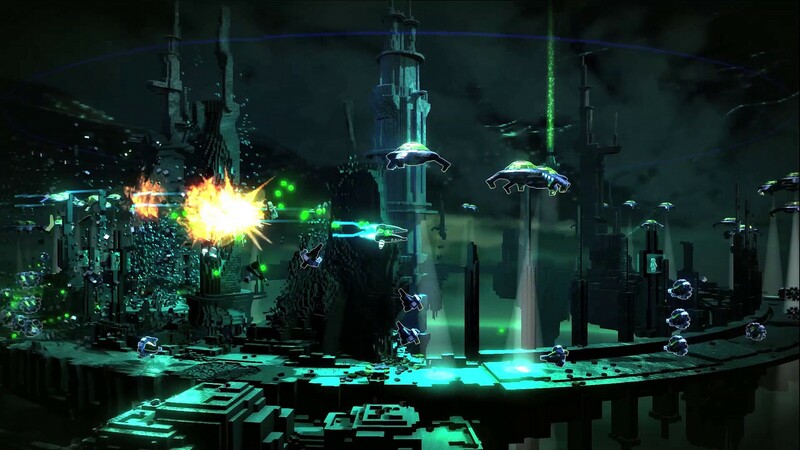 While RESOGUN is still a "cylindrical" shooter, it's more along the lines of a R-Type style of gameplay. It's also not a shoot everything that moves style game, as there are actual little guys to rescue. 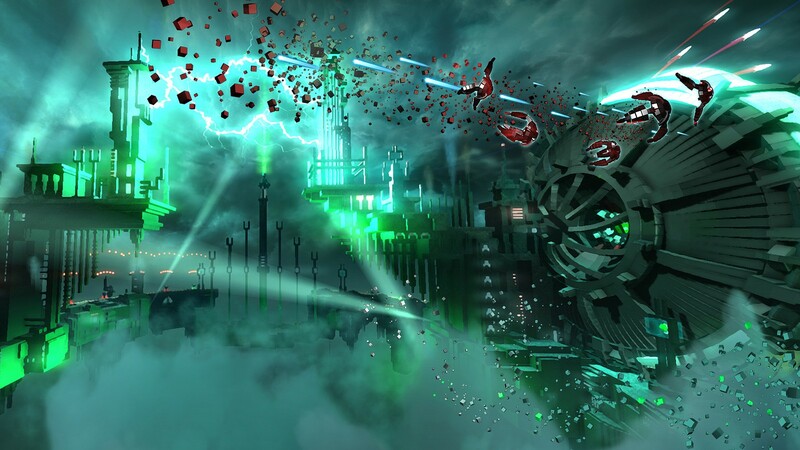 Here's how Housemarque describes the game. 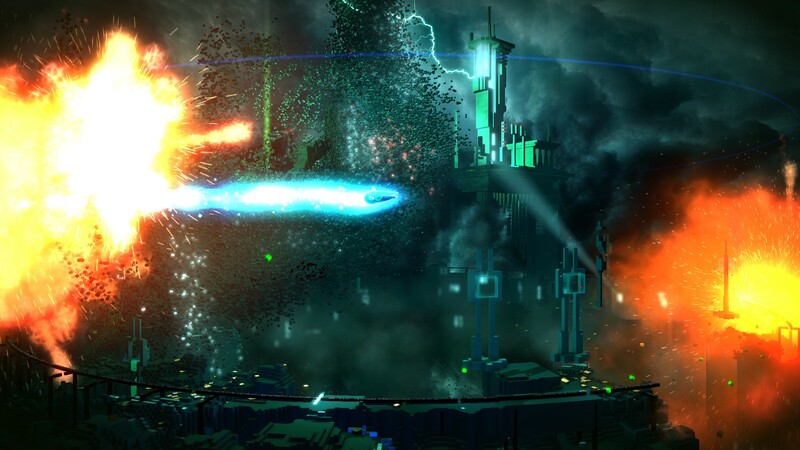 RESOGUN is an intense, fast-pace shooter that expands our love for the genre and represents a sort of culmination of all our expertise, both technical and gameplay-related. The cylindrical gameplay is closer to old school 2D shooters, and one interesting side effect of that is that the world has gravity now. 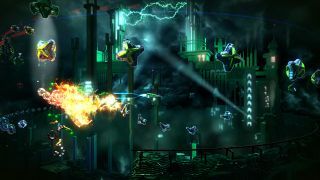 You actually expect things to fall down, there are ground enemies… these elements completely change the playfield compared to the Stardust series. 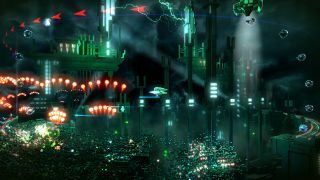 No release date or pricing have been revealed about the game. 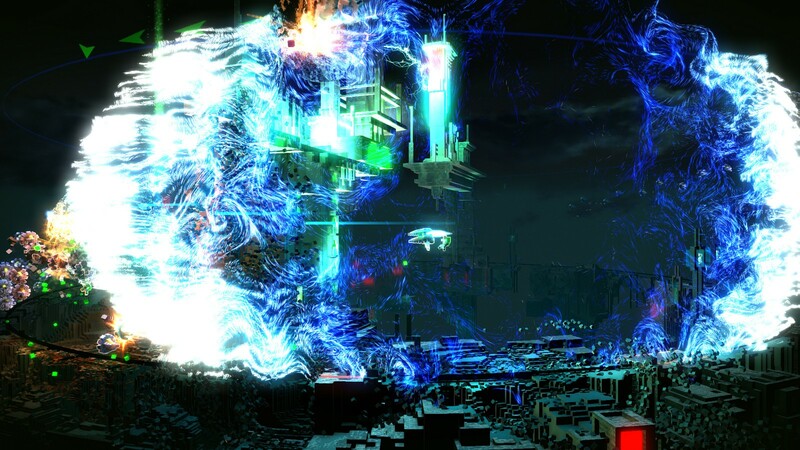 A co-op multiplayer mode has been announced, but no details were provided. We'll be watching the game closely over the next few months up to the PlayStation 4 launch, but for now, enjoy some of these pretty screenshots and video. Page created in 0.6118 seconds.